"Intimate Parts" is an ironic melodrama about middle-class Muscovites. Each of them has a personal secret, hidden from others – the "intimate part". The main character, a scandalous photographer Ivan, juxtaposes himself to others. He is convinced that people are born to be happy; and happiness is freedom to stay true to one's self. The real question is: how safe is it to let your inner self out? A stunning, intense tale of a youth lost in an uncaring world, Bullet Collector is the first film from promising director Aleksandr Vartanov. 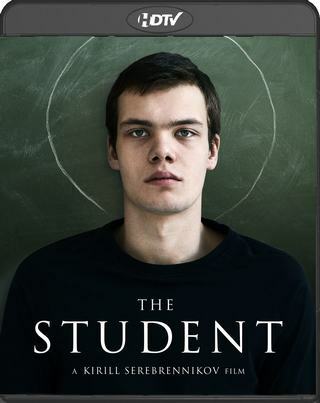 A visual, moody masterpiece, this drama follows the traumas of a wide-eyed 14-year-old boy. He has a terrible home life with a step-father who can barely stand the sight of him. His school life is even worse as bullies torment and attack him with shocking regularity. And his life becomes even more torturous after he is sent to hellish reform school. Prone to day-dreaming about a life where he is loved, fights off his attackers and has a beautiful girlfriend, the reality of an entirely different and terrible life continually shocks him back to reality. Is he just a timid kid destined for abuse or will he gain the strength to fight off his attackers? Recalling the world of Antoine Doinel in François Truffaut's The 400 Blows, this unsettling, visually brilliant drama updates that classic by giving it a nightmarishly Russian spin.